The Ministry of Natural Resources and Environment and Samoa Tourism Authority yesterday released the first draft of its waterfront plan. The plan was officially presented by the Honorable Prime Minister Tuilaepa Lupesoliai Sailele Malielegaoi during an officially ceremony held at the Samoa Tourism fale which was well attended by members of the Cabinet, the Diplomatic Corps and representatives from several ministries. The Apia Waterfront Project is a joint initiative by the M.N.R.E. and the S.T.A. with the vision to make the Apia Waterfront as an attractive destination connecting people to unique places and Samoan experiences. According to the Prime Minister, waterfronts in any country are special places across the world. “They have been key features of cities throughout history, are places of great beauty and are sources of economic strengths,” said Tuilaepa. The Waterfront project was not only initiated to beautify the town of Apia but it’s also a way to attract more tourists to our shores. 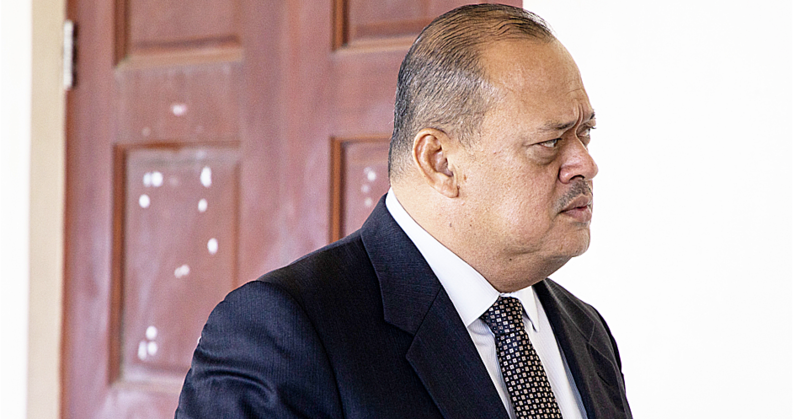 “We will give them reasons to stay longer in Apia and Samoa,” said Tuilaepa. The Plan will also help to support and enhance the physical growth of Apia and its resilience to the ever-changing natural environment. The key objective is to enhance the remaining public spaces along the waterfront for community use, which will ensure protection of green spaces, parks, reserves, streetscapes and other recreational spaces. It is a strategic document that will guide government planning and waterfront users on future developments along the Apia Waterfront and how it is envisaged to be transformed in the next 10 to 15 years. It will enhance the remaining public spaces along Mulinuu to Taumeasina for community use and small commercial opportunities, places for communities to gather, play, relax, perform, work and trade. 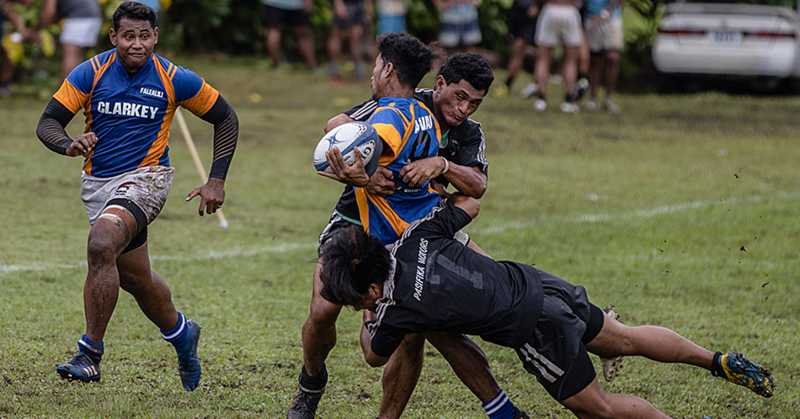 And the places will offer attractive and unique spaces for Samoan and visitors to enjoy creating a sense of pride and ownership of what Apia has to offer. 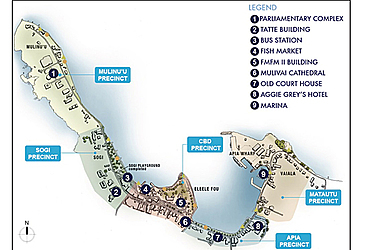 The draft provides concept plans of how the vision for the waterfront will unfold in the coming years particularly in the four distinctive areas: The Mulinuu waterfront, Apia waterfront central, Apia Waterfront harbour and Vaiala waterfront. 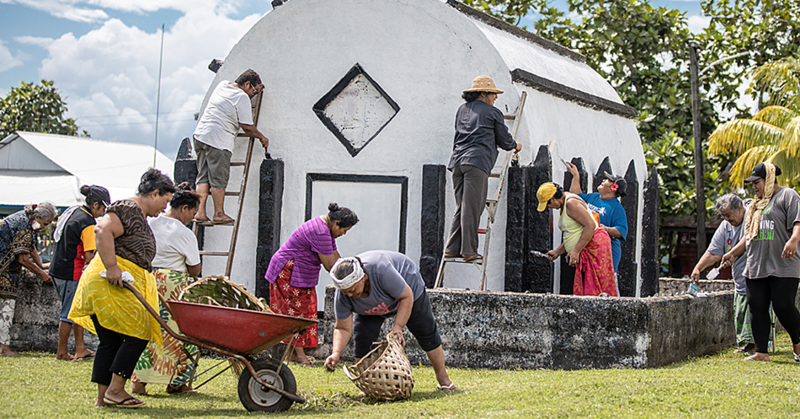 Prime Minister Tuilaepa acknowledged the generous assistance of the New Zealand Government in supporting Samoa’s vision for a revitalized Apia Waterfront.